The Northwest Region Healthcare Coalition’s next meeting is Thursday April 11th beginning at 10:30 am. This is normally an in-person meeting, however this year it will be via our conferencing system. Our May meeting will be in-person. We have finalized the schedules for the Basic Disaster Life Support (BDLS), Advanced Disaster Life Support (ADLS), and Certified Hospital Emergency Coordinators (CHEC) courses. The BDLS course is April 3, 2019, the ADLS course is April 4 -5, 2019, and the Basic and Advanced CHEC course is May 22-24, 2019. 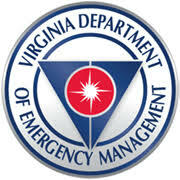 The training will be held at Harrisonburg Rescue Squad. Please see the flyers for Basic Disaster Life Support Course, Advanced Disaster Life Support Course, and Certified Hospital Emergency Coordinator Course. We have also posted this information to our Events calendar located on our website. The courses are free to all Northwest Region Healthcare Coalition members and partners. Please check back often for this and all of our educational offerings. Upcoming exercises: Sometime during the two-week period of April 7 – 19, 2019, the coalition will conduct its annual Coalition Surge Test Tool exercise. The exercise is designed to test the coalition’s ability to absorb 20% of the total regional inpatient beds. The beds may come from one, or multiple, evacuating hospital(s) to multiple receiving hospitals. The hospital notification letter was sent to the hospital points of contact last week. Additionally, we will conduct the annual regional exercise May 9th in-place of our regional coalition meeting. For questions regarding the upcoming exercises, please contact our Exercise and Training Specialist, Matt Cronin. Click here to access our website. Don’t forget to visit the Events calendar for upcoming training and exercise events. Spotsylvania County is hosting an ICS 300 course April 13th & 14th at Fire/Rescue Station 4 in Fredericksburg. Registration deadline is April 5th. Please see this flyer for more details. The Culpeper County Office of Emergency Management is pleased to present the NOAA SKYWARN Basics Course. The course will be held at the EOC on Wednesday April 3rd at 1900 hours. A National Weather Service meteorologist will teach the class and provide related materials. 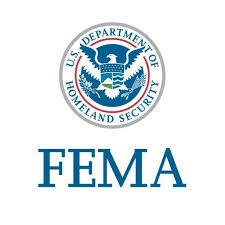 We will be attempting to schedule two classes a year from NOAA , and are Working with Fauquier County Emergency Management to combine efforts and offer the entire series over the next few years. Starting with SKYWARN the basics and looking to host another in the series in the Fall. This SKYWARN® Spotter Class is offered free of charge from the combined efforts of your local National Weather Service Forecast Office and Culpeper County Office of Emergency Services. There are multiple offerings for these courses. Please see the flyers for details. A two-day workshop will be held at the Office of the Chief Medical Examiner in Manassas May 1st and 2nd. Please see the flyer for details. 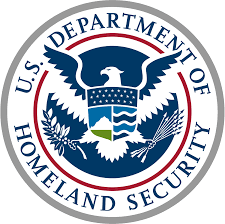 The FDA issued a safety communication alert on March 21 warning healthcare providers and individuals with Medtronic cardiac defibrillators of cybersecurity vulnerabilities in the devices’ wireless technology. 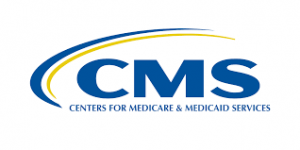 The alert was issued after the FDA reviewed information concerning possible cybersecurity vulnerabilities associated with the Conexus wireless telemetry technology used for communication between Medtronic’s implantable cardiac devices, clinic programmers and home monitors. The wireless technology does not use encryption, authentication or authorization, which leave Medtronic’s cardiac implantable cardioverter defibrillators and cardiac resynchronization therapy defibrillators vulnerable to being hacked. If an unauthorized individual gained access, he or she could potentially manipulate an implantable device, home monitor or clinic programmer. Medtronic is working to add security updates to address the cybersecurity vulnerabilities, according to the FDA. In the interim, the FDA recommends providers maintain control of the devices’ programmers and keep IT networks well-managed. The agency also does not recommend replacing the devices, and said it is unaware of any reports of patient harm related to the cybersecurity vulnerabilities. Instagram and GoFundMe are among the latest social media companies to address anti-vaccine content online. 1. Instagram shared plans to block anti-vaccine hashtags March 21. The move comes about three weeks after its parent company, Facebook, pledged to stop promoting anti-vaccine posts on Instagram, reports The Hill. 2. An Instagram spokesperson said the platform will block hashtags such as #vaccinescauseautism and #vaccinesarepoison as a “short-term measure” to address vaccine misinformation, according to The Hill. “As we take action in the short-term, we know that fighting misinformation is a long-term commitment,” the spokesperson said. 3. On March 22, GoFundMe also announced it would remove all crowdfunding campaigns from its platform seeking to raise money to promote vaccine misinformation. 4. Spokesperson Bobby Whithorne told the Daily Beast that GoFundMe is “conducting a thorough review and will remove any campaigns currently on the platform.” Mr. Whithorne called the crowdfunding campaigns “extremely rare.” So far, GoFundMe has identified fewer than 10 campaigns to remove.